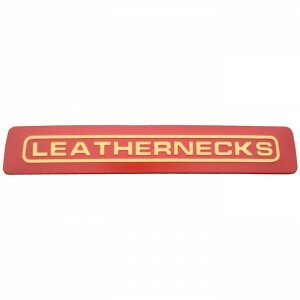 Leathernecks illuminated emblem suitable for all outdoor uses: Leathernecks illuminated motorcycle tour pac emblem proudly displaying the logo on your motorcycle, car or truck. 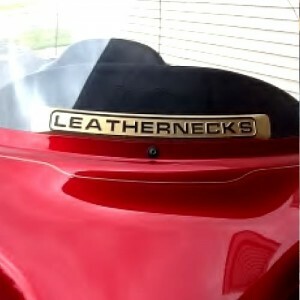 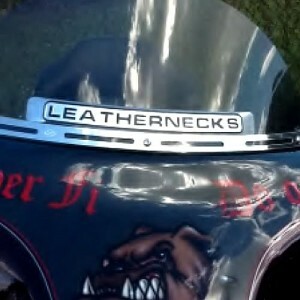 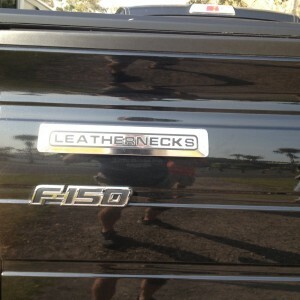 Leathernecks car, truck or motorcycle plaque. 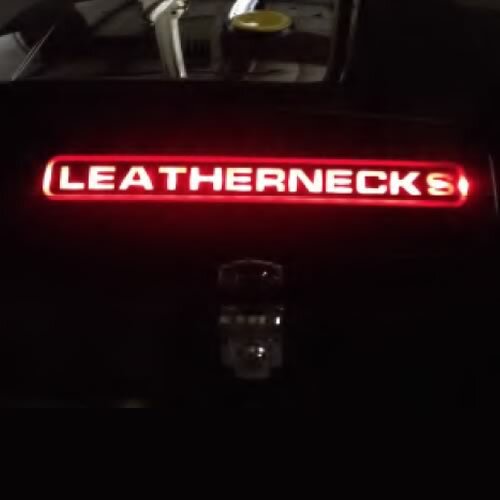 Leathernecks motorcycle lighted tour Pac emblem. 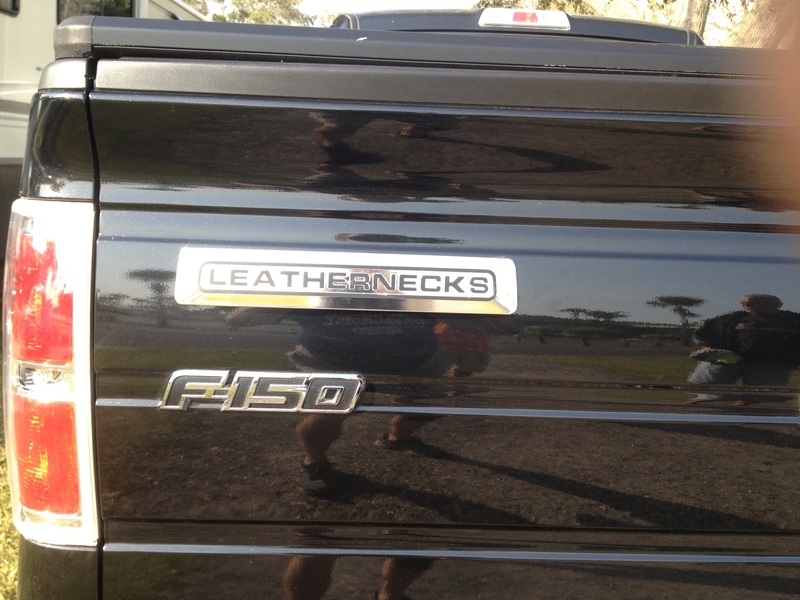 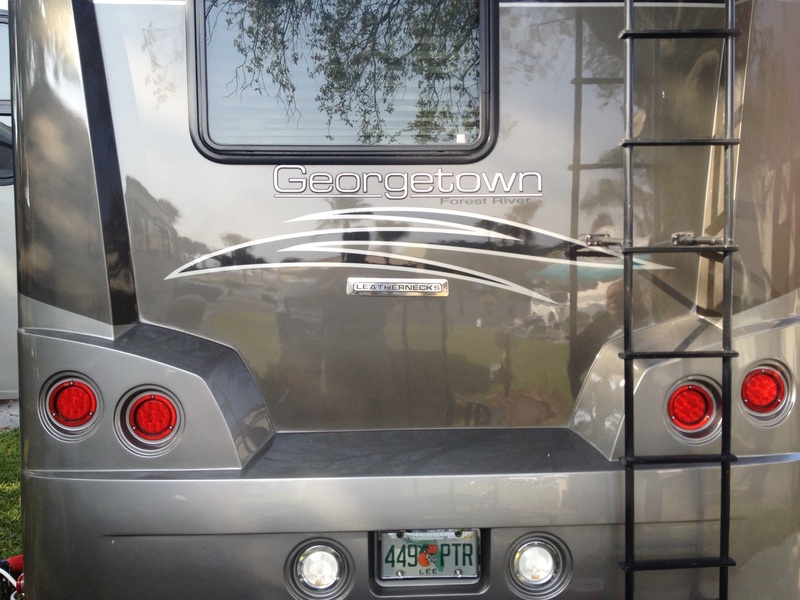 Please pick your emblem background color, all letters are transparent and illuminated with red led lights.